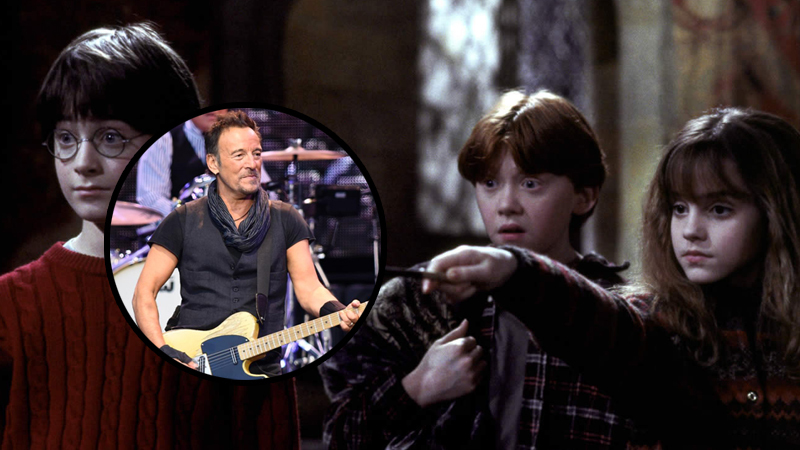 In 2001, Springsteen wrote a song titled “I’ll Stand by You Always” for the original Harry Potter film and offered it to director Chris Columbus. Due to a clause in Harry Potter writer J.K. Rowling’s contract that stipulated no commercial songs be used for the film adaptation of her books, the song was quickly turned down, slapped with a copyright and given to Columbia Records executives on a promotional copy. The song was even offered to Latin artist Marc Anthony, who recorded his version, but never released it. According to The Wrap, Springsteen’s unused song has been added to the film Blinded by the Light, meaning it took 18 years for the ballad to find its purpose. Check out the song in the player below! Now, nearly 20 years later, Springsteen’s song has finally found a place to call home in a film based on the memoir “Greetings from Bury Park” by Sarfraz Manzoor. The song, which features the lyrics “I wish I could tell a story/Chase away all the ghosts you’ve got inside of you … Come take my hand ’til morning comes/Just close your eyes/I’ll stand by you always,” will play over the end credits of of the upcoming film, which the report calls “Springsteen-heavy” in its own right. Blinded by the Light hails from Bend It Like Beckham director Gurinder Chadha. The film is being distributed by New Line/Warner Bros.